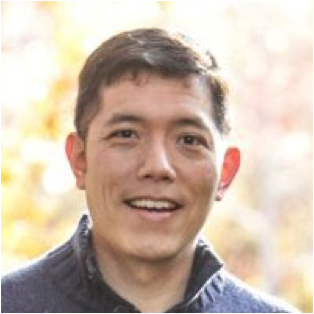 We are tremendously excited to announce our newest Courserian: David Liu, formerly a Director of Legal at Google, joins us as our General Counsel. David Liu joins Coursera’s leadership team as a General Counsel to help Coursera navigate the legal complexities that come with growing a worldwide education platform. David is a seasoned veteran of business and law, and brings extensive entrepreneurial experience, having co-founded one of the leading product companies in the scrapbooking space and an e-commerce fundraising platform. David joins us from Causera, a startup focused on providing schools and other community organizations with innovative commerce and group management tools (any similarity in company name is purely coincidental, folks!) He previously served as an Associate and Director of Legal at Google. During his nine years there, David served as the lead attorney for a wide range of products, including AdSense, Google Earth, and Google Wallet, and as the knowledge lead for content acquisition, software distribution, and platform integration transactions. He also led the New Product Initiatives legal team, which supported Google’s new business development efforts, and the Commerce legal team, which supported Google’s payments and offers products. David earned his undergraduate degree in Political Science from the University of North Carolina at Chapel Hill and his JD from Harvard Law School. The father of three, David is active in his school PTA and look forward a future where his kids’ educational experiences will be enriched by the perspectives of participants from around the world. Courserians, please join us in welcoming David on board! Comment or Tweet @Coursera your greetings!